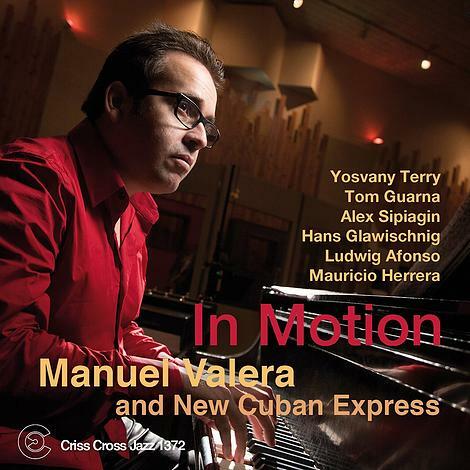 Valera's maiden voyage for Criss Cross features his band, New Cuban Express, on a selection of originals that cover a good deal of ground, touching on both Latin and swing sensibilities. Yosvany Terry on alto sax, Tom Guarna on guitar and Alex Sipiagin on trumpet make strong statements, while Valera tastefully uses the Fender Rhodes to add new colors to the ensemble mix. Bassist is Hans Glawischnig, on drums Ludwig Afonso, and Mauricio Herrera on percussion. 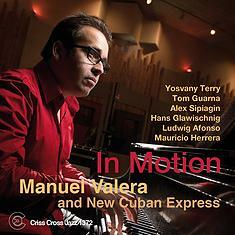 His strongest set as leader, Valera's In Motion marks the pianist and composer as a major talent on the rise.